The salmon look to have stuck around for the summer. After a cold and slower spring than usual we have seen plenty of salmon sticking around the Chicago fishing area. 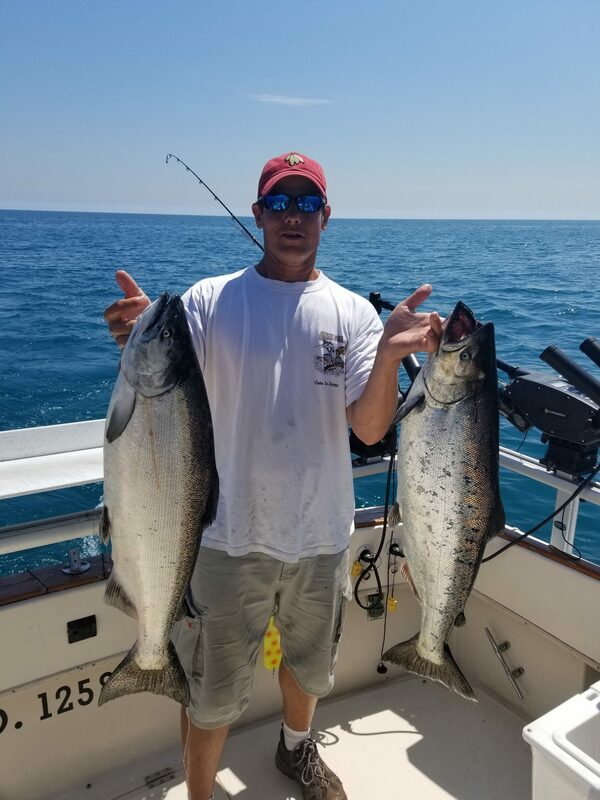 Many times the coho and king salmon move on during the mid-summer months but we’ve been able to consistently catch them in 50-80 ft of water over the last month. The lake trout fishing has been consistent as always with us pulling trout in the 12-16 pound range pretty consistently. 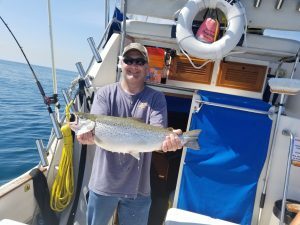 On our latest trip, we caught two 16lb plus king salmon and a hefty brown trout. Check them both out in our photos section. As part of the 2017 season, we’re participating in the inaugural Chicago Sportfishing Association tournament. It’s a season long tournament. Entries are weighed and posted online where participants can check their ranking throughout the year. 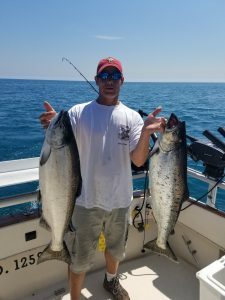 Rankings are by species so a 7lb coho salmon could win that category, but you’d need a 15+ lb king salmon to win the other. We still have openings for the weekends in August and September. Also, follow us on Instagram (@skylinefishingcharters) for updates on all our charters! !